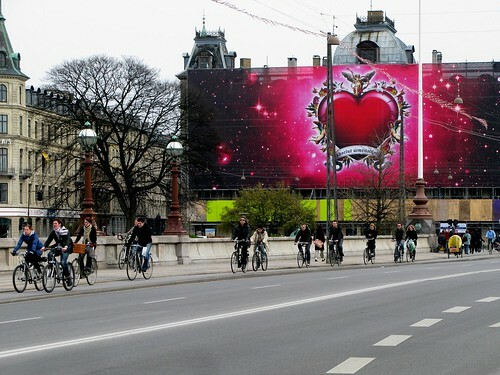 This stretch is one of the busiest for bikes in Copenhagen. The segregated bike lanes carry over 35,000 cyclists a day in and out of the city centre, as well as the locals in the neighbourhood. It's not ususual, during the morning rush hour, to wait for the bike traffic lights with over 100 bikes. It is also on this stretch that we have the Green Wave - ride 20 kph and you'll hit green lights all the way into town. It is also on this stretch that the City plans on removing all motor vechicle traffic in order create wider bike lanes and a green pedestrian street later this year. 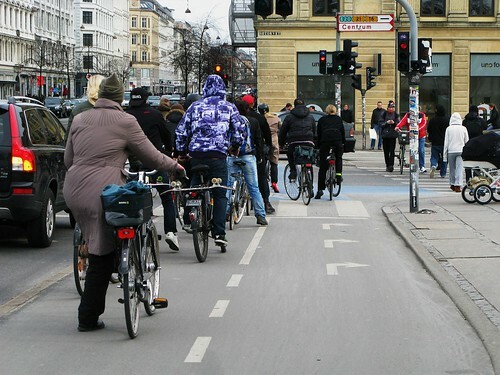 75,000 people use this stretch called Nørrebrogade every day. Only 15,000 are motorists and most of them don't even live in the neighbourhood. So while creating a pedestrian zone and wider bike lanes to handle the traffic is drastic, it reflects the reality of the area. Read The Drastic Measures of Visionaries for more info. 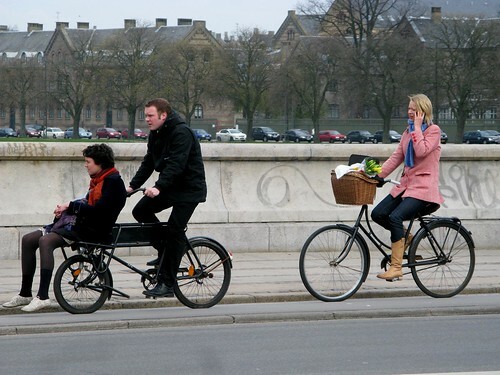 Cycling is - and always should be - a sociable affair.